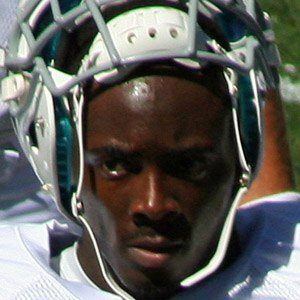 Running back who made his NFL debut in 2010 for the Indianapolis Colts. He played college football at the University of Wyoming, where he was first-team All-MWC in 2008, his senior season. He went undrafted in the 2009 NFL Draft, and spent that year on the practice squads of the Seattle Seahawks and Carolina Panthers. He was born to Kevin and Shelia Moore and raised with two brothers. As a rookie for the Colts he was teammates with star quarterback Peyton Manning.